have all team and school colors. Our prices are about half of the local sporting goods stores. 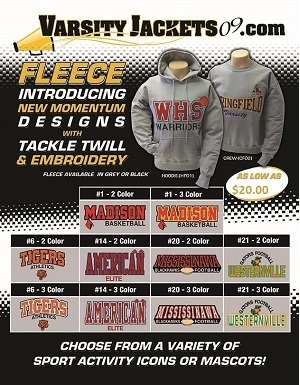 We have a Team special fully decorated with custom chenille patches and lettering includes payer name and delivery. Clink on your school to see more information.